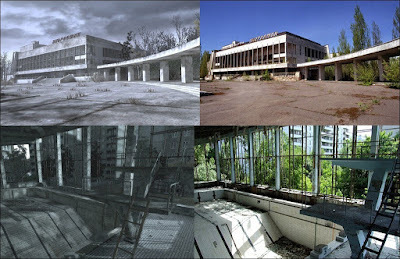 With the fall of the Berlin wall 20 years ago you didn't hear much mention of an event that played a major part; Chernobyl. I am fascinated with this event. 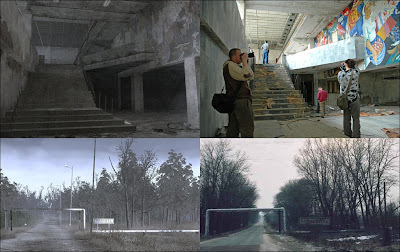 In looking around and searching the city you'll find that Infinity Ward did an amazing job recreating this area (Modern Warfare 1). That part of the game, Bloc I think, remains to this day one of the most memorable experiences I have ever had playing video games.